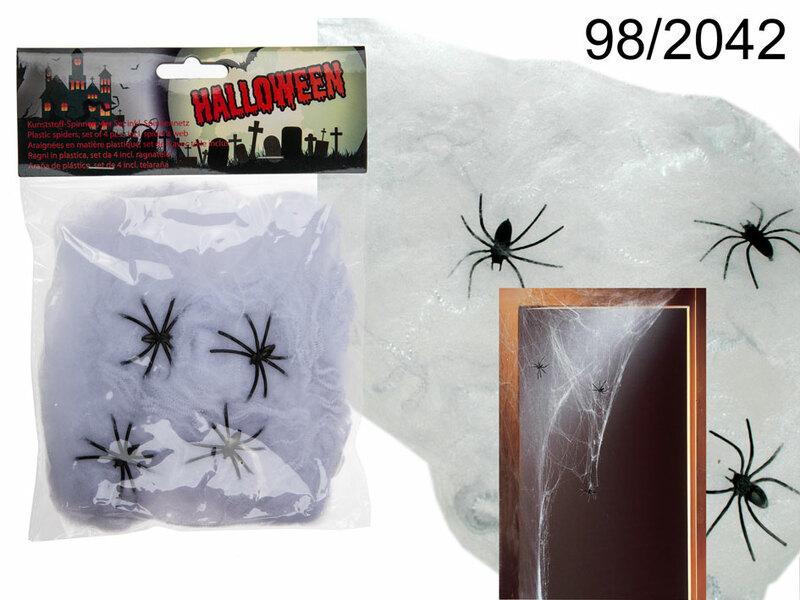 Amazing Halloween accessory - fake spider's web with four creepy plastic spiders. Fantastic item that simply scares people ;). Awesome horror-themed decoration for a party or home-held event. Sold in polybag with header card.